Self-Publishing Magazine is an online publication produced by Matador, which helps authors self-publish their books through its Troubador imprint. I know quite a few authors who have used its service, and I was pleased last year to be invited as a guest speaker at their annual Self-publishing Conference. I was sad to have to turn down the opportunity to appear at their 2017 event because it’s on 22nd April – the same day as the local litfest that I run in my village, the Hawkesbury Upton Literature Festival. 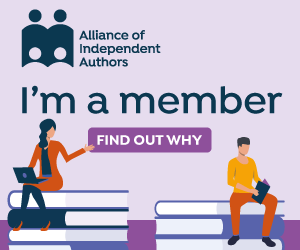 However, I was pleased to accept an invitation to be an occasional agony aunt for the publication, answering questions put by their readers, drawing on my knowledge as an indie author and commissioning editor of the Author Advice Centre blog for the Alliance of Independent Authors. My first column for Self-Publishing Magazine, answering the question “How do I keep writing every day even if I get writers’ block?”, was due for publication on the same day as my recent operation, giving the impression that not even a general anaesthetic was enough to stop me multi-tasking. Of course, it was actually written some in advance and scheduled to go live that day. Though the tweeting taking place on the day of my operation wasn’t. (Hurrah for free hospital wifi!) Not even a general anaesthetic can keep me offline for long. If you’d like to read the article online, just hop over to its website here.